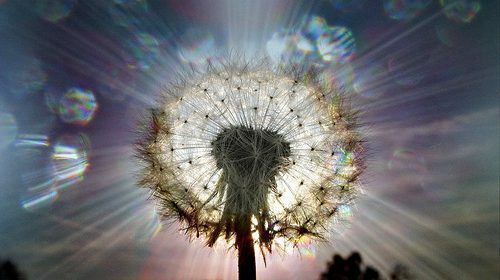 Join Stan Tomandl and Ann Jacob to explore loving detachment while surrounded by difficult situations for our environment, fellow humans, and our own hopes and dreams. A deep look inward at attitudes and beliefs: how we activate, and don’t activate, ourselves in the midst of internal and external power struggles. For those interested in social and environmental justice and the art of eldership. Register online! New Masters Program Starts October 1! PWI has a new master’s program, called the MA in Process-Oriented Facilitation and Conflict Studies (we shorten it and call it the MAPOF program). This program provides a core skills training in Processwork. Why design a new program? 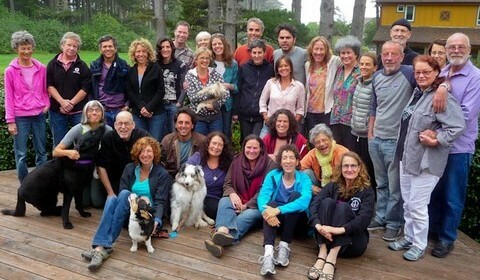 One way to look at it is that the feedback from our graduates is they want to learn how to use all the core skills of Processwork and be facilitators of the flow of experience, whether that is on a level more typically associated with conflict and organizational work, or mental health and shamanistic settings. This philosophy of teaching core skills has always been built in to our programs, but this new program outlines that philosophy even more clearly Our assessments of graduate feedback tell us that students benefit most from learning the fundamentals of Processwork, and that graduates take these fundamentals with them and become experts and co-researchers on how to apply Processwork in various settings. We chose to use the word facilitator in this degree title, symbolizing that we are training students to be facilitative of the different levels of human experience, regardless of application or setting. Another reason we are re-designing our MA degree relates to national accreditation. We are pursuing national accreditation with the Accrediting Council for Independent Colleges and Schools. As part of accreditation we decided to make our MA program comparable to other programs so our new program is a 2-year program. This lowers the cost and we hope eventually with accreditation, we can provide students even more ways to afford our program costs. What about studying to be a diplomate, which used to be attached to the MAPW degree? The diplomate study program is now separated from the MA program. There are advantages to keeping the diplomate study as part of the MA program and yet this swing of the pendulum tells us it is time to separate the diplomate study from the MA study. The MA in Process-Oriented Facilitation and Conflict Studies lasts two years and then students can join the diplomate study program and study several more years if they want to pursue that type of advanced study. We’ll soon be publishing details on the structure of the diplomate study program which will combine graduates from our MAPOF program with students studying Processwork in other settings who want to join us for structured opportunities to pursue diplomate level study. Contact Myriam Rahman for more information. Hellene has recently joined us as the Dean of Research and Development and will be building a research program to develop the evidence base for Processwork, including project development, fundraising and international collaboration, and also supporting PWI’s accreditation. Hellene is a Processwork diplomate, a 2013 graduate of the Masters in Process Work (MAPW) program, and long time student of Processwork. She first flirted with coming to Portland after encountering Process Work in 1989 … it seems persistence is one of her dreaming powers – a very important quality for developing research! She has a passion for using research to communicate less known or marginalized experiences and practices, and believes in the power of academic research to share this precious knowledge within the broader public conversation. Hellene comes to us with extensive experience in professional research, evidence-base consultancy and business development in Australia. Previously, Hellene established and led a national research consultancy for the Australian Housing and Urban Research Institute and is the author of multiple publications in housing and homelessness policy and practice. She was the research coordinator for a large Melbourne non-government agency and has developed policy for the Victorian State Government. Her doctoral research focused on the meaning and implications of body awareness practices and was inspired by Arny’s Working on Yourself Alone, still one of her favorite books along withQuantum Mind. Her first degree was in Physics. Go to the PWI website to register for classes! There are many wonderful ones to choose from. If you have questions, feel free to call the PWI office at 503 223 8188. Join us for an evening to discuss the relative merits of two processes for working with groups: Nonviolent Communication and Processwork’s Deep Democracy. Sunday, September 14, 7-9pm at PWI. Kristen Reynolds will present her research on the benefit of each process to the group facilitator. Audience questions and discussion will be invited after the presentation. Two experts, one representing each process, will be available to answer questions that come up: Chris Allen, President of the Process Work Institute and LaShelle Lowe-Chardé, Certified Nonviolent Communication Trainer. Kristen Reynolds has a BA in Art. In 2007, she attended the International Intensive Training for Nonviolent Communication. In 2011, Kristen attended the Summer Intensive at the Process Work Institute. Currently, she studies advanced NVC with Robert Gonzales, is a community student at the Process Work Institute, and talks about how they both connect in her blog Loving-community.com. Chris Allen PhD is an educator and researcher in sexuality and psychology. He teaches at the Process Work Institute, local universities, and is President of the Process Work Institute. LaShelle Lowe-Chardé holds a master’s degree in psychology and was certified as a NVC trainer in 2006. In 2004, she founded her business, Wise Heart (www.wiseheartpdx.org). Since that time she has served as a trainer, private coach, and mentor for the learning and practice of Compassionate Communication and mindfulness. While her primary focus is services for couples, she also provides trainings for local non-profit organizations and class series for women. Students in the MAPW, MACF, Diploma, and Certificate programs complete a research or creative project as one of their requirements. The diverse and fascinating ways that students apply Process Work concepts to their worlds are stimulating to read. Here are those from our most recent graduates. All of them are in the PWI library and many are on the website. I did my Worldwork Internship in Kogate, Nepal, a remote village located in the hills south of Kathmandu. I volunteered for 3 weeks with the Acupuncture Relief Project (ARP) to work as a barefoot doctor. There is no primary health care provided in this region, there are no cars, and I was on my own, as clinic had finished up for before the monsoon. My brief was to initiate an acupuncture training for the ARP translators who are from the village, so they can eventually service their own community. I also provided healthcare for whoever turned up in the afternoon, or I would hike to other villages and see patients along the way. I crowd sourced the funding for this project by putting my family story into words to appeal to friends, family and whoever else. I am from Pakistan and my family are very fortunate to be here. My appeal was met with overwhelming generosity for a community in need and personal support for me and my idea. One of my goals was to build a bridge between my community in Australia, and people who have a less privileged life in Kogate. I was a conduit for stories bridging worlds. In doing so, I built an inner bridge between my privileged self and my roots. Another goal was to ‘follow nature’ and look for unexpected things. The most unexpected thing was how welcomed I felt. People embraced the potential opportunities that I brought. Their ‘why not’ attitude maximised my potential, and I gave myself completely. I combined acupuncture and process work in my teaching by using inner work methods to complement acupuncture theory and palpation skills. I taught acupuncture the way I wanted to be taught, or perhaps the way my process has taught me. I have held a vision for the last 25 years: to bring process work and its worldwork applications into schools. This vision has moved me in different endeavors in my work with kids and schools over the years, and after years of creative struggle and refinement has finally crystallized into Teens Rise Up (TRU). This past April, I launched Teens Rise Up (TRU) in a Portland school for one hundred kids, aged 13-14. Dennis Palazzolo and Myriam Rahman assisted me in this endeavor. I am extremely thankful for their support, generosity and creativity. Like many of us using processwork in our lives, it is both the challenge and creativity of how we apply or translate processwork tools, or in my case, create curriculum. This has been extremely challenging, which is why it has taken me so long! Indeed, dealing with schools and their tremendous limitations, structurally, financially and bureaucratically have often brought times of despair and hopelessness. In addition, when working with youth one always has to contend with the ghost role of parents and the school system at large. Thanks to the spirit of dreaming that kept me on this track. Over the years the issue of school bullying has received more focus as people awaken to the rough school culture that many of our students endure and the sometimes, deadly results that can arise. Considering this climate TRU has a strong focus on bullying. With the frame of bullying we can address issues of diversity and oppression, as well as the fluidity of the roles of victim and perpetrator. Most anti-bullying programs focus on educating kids about bullying and what they can do to prevent it. TRU adds a more interactive piece that engages youth on an emotional level. In fact, some research has shown that anti-bullying programs are ineffective unless they engage the emotional intelligence of our youth. TRU uses a combination of activities, including group process, role play, artwork and media to explore: diversity issues and being different, the “inner bully,” inadvertent bullying and bullying behavior, allies and bystanders, and culminates in a powerful section called “making amends.” This piece was extremely moving for the group; kids came forward to publically acknowledge and apologize for the hurts they had caused revealing an overwhelming need to repair relationships. The teens showed great courage in speaking personally and demonstrated some inspiring leadership skills in facilitating conflict. TRU also reveals the depth of suffering that many kids deal with and thus creates empathy in others. The four days at this Portland school were extremely moving to me. I am hopeful (and at moments discouraged by the networking difficulties) as I am presently trying to bring TRU into more schools. Worldwork 2014, Politics and Consciousness in the Changing World, New Solutions: From History to the Future, took place in Warsaw, April 27-May 1, 2014. A main intention of Worldwork was to build a bridge from the past to the future and to make space for past stories that help us see where we are now, deal with the issues of today and discover new possibilities and solutions on different levels, from global visions to local projects. The intention of our art and writing workshop was to create space, time and play for creative inner work that supports a way to reflect, integrate, and share some of the strong experiences or visions from the large and small group processes. We also wanted to introduce a model or way of doing inner work that participants could use with groups on their own. We had our WW art making class assigned for the second evening of the five day conference after the German and Polish processes around their joint histories. One of our assistants got caught up in the strong emotional processing afterwards and we were wondering where all our art supplies were! Moments went by of uncertainty and nervousness about presenting. People generously were helping us set up the room into chairs in groups of six to eight. Did we need microphones? Luckily another assistant was near by and brought us the supplies! People started arriving and slowly the room got fuller and fuller. We were excited to have around 60 participants! The next thing was translation. We didn’t have any! But the participants were flexible and joined into groups where they spoke the same language and could share easily. Worldwork is happening every moment! We outlined the four steps of the Art of You model: writing an intention, making art, witness writing about their art and then sharing with each other. We emphasized that no art experience is needed. Wandering around the room we saw many different interesting and surprising worlds being explored in an atmosphere of creativity and sharing. Where did they all come from? We see people discovering that by staying close to their own experience and expressing it through art making, that it has a rich value for the group, not just the artist. People are looking and listening deeply to each other, creating deep relationship to self and others. Everyone has a chance to share and can connect in a safe way to self and others in community, at their own pace. Some of the art works and writing were gathered and shared on the wall of the conference room. As an example see the artwork and writing of a participant who explored her experience. Caitlin Catley who trains with the Deep Democracy Institute, has joined me in Port Townsend where we are exploring our mutual passion for process work, sentient awareness and movement. Unable to attend Worldwork in Poland we decided to focus on Essence level Worldwork, trusting the dreaming to track what was unfolding and our non-local connection to impact the global field. The Earth was our partner in these explorations. We worked with many experiences through awareness, movement, relationship and dreams. Sessions occurred almost daily, mostly in nature but also in the movement studio. We interacted with the Earth’s communications as they surfaced. These included feelings or movement in our bodies, rare Nuclear attack submarines, threatening groups of people, animals, weather and “messages” from ocean waters. This poem was the outcome of our last day together and closed our connection with the Worldwork field. a backbone of rock and soil. of ones who have passed. she danced her way to ecstasy. Mountains circle, holding us in their embrace. In April Gary was interviewed in Jerusalem by a man who used to run a radio station similar to New Dimensions and now does all his interviews of spiritual and psychological teachers on you tube. Take a look! And use it to introduce others to Processwork!